Researchers and educators are invited to study and participate in the Knowledge Token® (Knowken®) learner incentive and reward system, and related Learn To Earn technologies, projects and events. 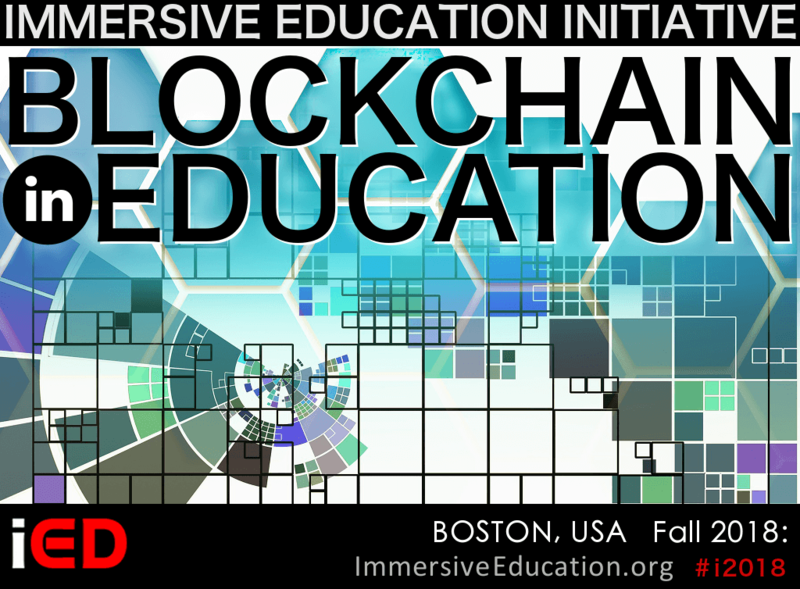 The inaugural Blockchain in Education Summit (iED 2018) was held in Boston, MA. Researchers and educators in attendance were invited to study the Knowledge Token® (Knowken®) learner incentive and reward system, and related blockchain technologies and projects. Do you enjoy: SURFING the Web, WATCHING Videos? PLAYING Video Games? Would you like to CREATE this content instead of just consuming it? Learn how in our Boston "Creative Computing" Summer Camps! 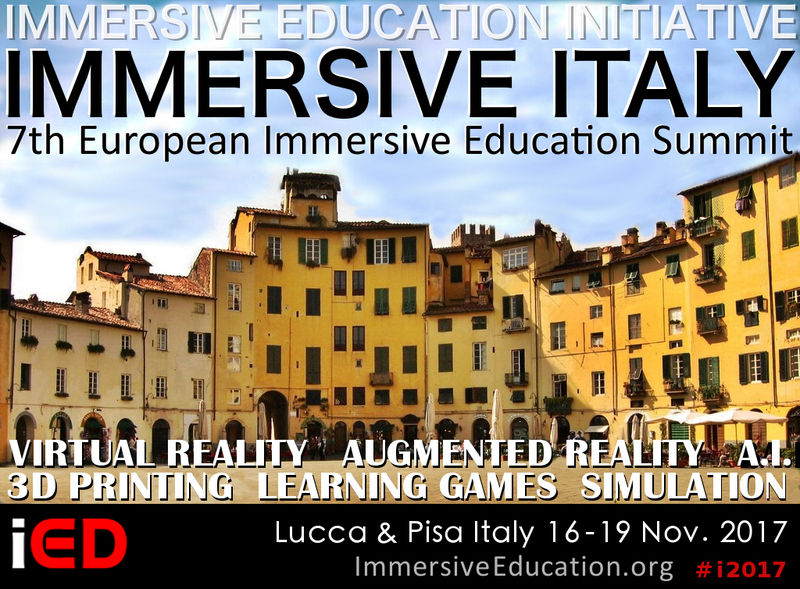 IMMERSIVE ITALY 2017 and the 7th European Immersive Education Summit (EiED 2017) were held in Lucca, Italy and Pisa, Italy. 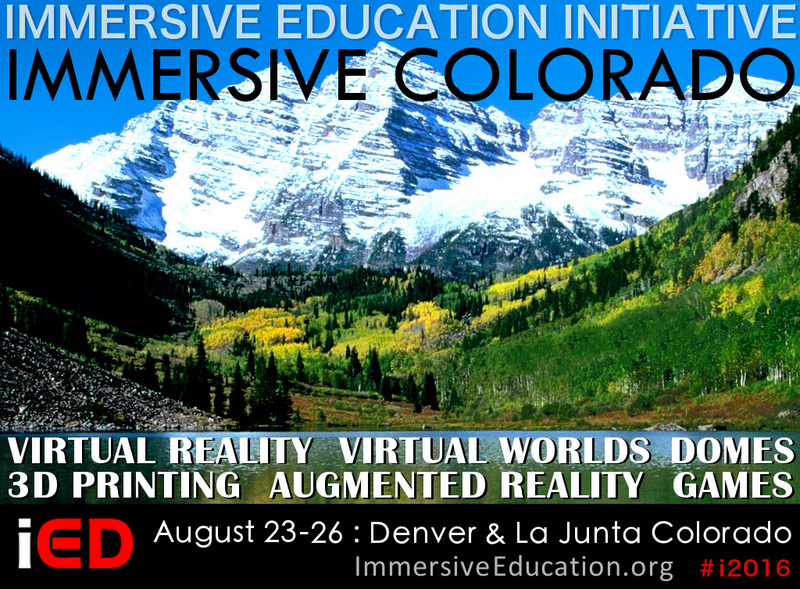 Colorado was the official site of the 2016 USA Immersive Education conference. Immersive Colorado ran from August 23-26 in collaboration with the United States Department of the Interior (DOI) in celebration of the 100th anniversary of the USA National Park Service (NPS). IMMERSION 2015 and the 5th annual European Immersive Education Summit (EiED 2015) were held at Paris-Sorbonne University ("the Sorbonne") in Paris, France. 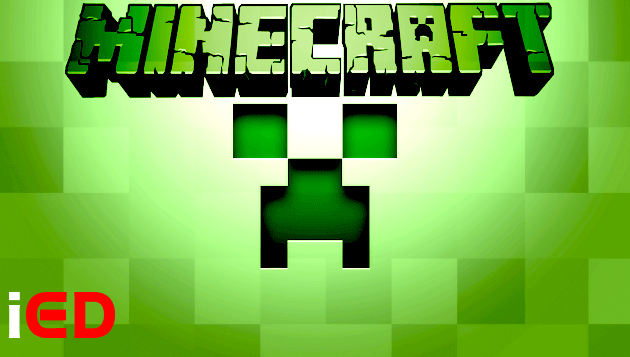 International Minecraft "Builder Bowl" tournament, the first in a series of annual immersive technology competitions, announced. Jump in! Colorado opens two new Immersive Education (iED) student clubs to advance the newly established Immersive Bent's Old Fort American history and culture project. What can produce plastic Yoda heads, tchotchkes, a human liver, bionic eyes and a functional gun? Join legendary Larry King for an enlightening discussion with Immersive Education Initiative Director Aaron E. Walsh about the staggering applications of 3D printing, and the technology’s potential to change the world -- for better and worse. Watch the full interview now.